Eric is Signal Processing Scientist for Snips, an Private by design voice platform. He shared his view on how voice develops as an important interface, and asked some ethical questions about what this new platform means for the privacy of consumers. 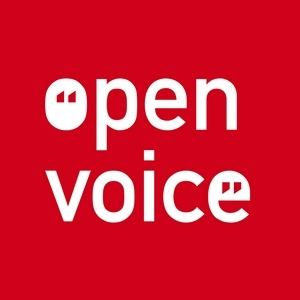 Open Voice co-founder shares the State of Voice with some of the recent events in the Voice domain. Roderick de Rode is CEO at SPINN. Spinn is an internet of things meets coffee marketplace. They make Voice connected coffee machines that brew coffee and auto-replenish from a marketplace for local coffee roasters. Guido Jongen from Nuance Communication will share about how industry veteran Nuance keeps forging ahead with Integrated Voice. We look forward to their insights on integrating Voice in the car and on TV set-top boxes. Tijmen Schep is a technology critic and privacy designer who helps citizens, designers and policymakers understand new chances and challenges in our data-driven society. He illustrated the subjects that should be discussed, and demonstrated how things could be through various examples, such as his Candle project. Ellen Kok is a visually impaired. She helps people with a handicap, disease or a trauma to return to their job through her own company Phoenix Reintegration. 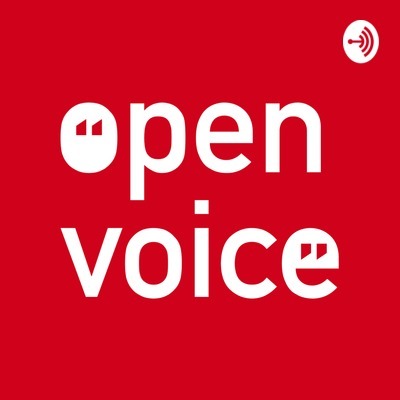 At Open Voice, Ellen shared how she experiences a 'voice only' world. Maarten is a business development manager for ReadSpeaker, one of the leading voice companies. He likes to help companies to create a text-to-speech voice that perfectly fits with their brand identity. His talk is all about 3rd party voices and what they entail. Stijn (Albert Heijn Online) did the conversational design of one of the largest retailers in The Netherlands. What are the lessons we can learn from them, and what does the roadmap look like for this household name. The state of voice - or, an update on where we stand in 15 minutes. Ben Sauer, independent (voice) design strategist and speaker. Ben works with companies around the world to raise their design game. He’s already been talking about VUI for years. Ben offered honest and clear advice to those attempting to master the voice environment. “We really have no idea where this technology is headed, or what it can do. Our true calling should be to help make the system fail gracefully, so its users can help us make it better.” But the trouble is, users don’t really know what’s possible with voice, or what it can and can’t do. Our true calling should be to help make the system fail gracefully, so its users can help us make it better.” But the trouble is, users don’t really know what’s possible with voice, or what it can and can’t do. Listen to the whole talk to gain more insight on the subject from someone who has worked in the domain of conversational design of some time. By Jeroen de Bakker, CMO and CDO at Talpa Radio. “Many people thought that the advent of streaming would be the death of radio,” he began. “But we saw it as an opportunity. After all, radio is streaming avant la lettre – it was streaming long before streaming existed. We make content 24 hours a day. There are plenty of opportunities to use voice technology.” Talpa develops JUKE, a personal music guide that offers complete Dutch radio access, non-stop playlists, and access to 50 million songs. With both free and premium subscription services, JUKE serves a wide Dutch audience and a specific need. “Although our customers’ needs have never changed, their behavior has. With JUKE, we can be with them anywhere and everywhere they are. We’re turning listeners into users. But music streaming is a competitive space, so we knew how important it is to develop a solution before our competitors do. Now, we’re refining and expanding it to ensure we continue to meet their needs and keep it personal.